Spotify India Review: Game Changer or Too Little Too Late? By now, you've probably tried a number of music streaming services in India. Nearly all these services offer a similar set of features and for most users, it comes down to the quality of the music catalogue, price, and sometimes the app's design. Spotify is the latest entrant into the crowded Indian online music streaming market. With smartphone adoption rates exploding and easy availability of affordable data plans, Spotify has entered the market at a good time, even though the company would've preferred to do it before other domestic and international players did. But can the world's most popular online music streaming service impress its target audience in India? Here's what we think. Spotify is easy-to-use and it takes very little time to sign up and get started. Spotify has apps on both iOS and Android along with Windows and Mac. The company has a Web interface as well. However, most people will end up using mobile apps more. In addition, Spotify also has apps on several smart TV platforms, Linux, Chromebook, PlayStation 4, Xbox One, and the Amazon Fire TV Stick. You can even hook up Spotify with your Amazon Alexa or Google Home smart speakers. However, not all apps are available in India just yet. Spotify's rich black interface separates the service from its competition. The black interface looks impressive with the album covers that seem to stand out against the minimal black backdrop. Spotify puts your music right at the centre of your experience. The interface is easy to get used to, even for someone who is trying a music streaming app for the very first time. Navigating the interface is a breeze. Spotify makes it really easy to start following its own curated playlists. Over a period of time, the service can offer personalised recommendations based on your listening pattern thanks to its smart algorithms. Spotify offers a large selection of playlists that seem to cover almost all kinds of music genres. Once you start using Spotify, you'll likely end up curating and following playlists more than usual artist albums. The mobile apps offer a similar user interface on both Android and iOS. Once you open a new account and sign in for the very first time, you'll be presented with a screen where you can pick your favourite artists. This is quite similar to how most other music apps do it. Once you make your selection, Spotify starts recommending relevant playlists and artists. On the mobile apps, you're almost always two taps away from playing music. Premium users can download the music for playing offline. You can follow playlists and once you get along you can save playlists, individual tracks, and albums to your library. In case you have the Spotify app installed on multiple devices, you can stream music from one device to another. For example, you can play music on your laptop (which has the Spotify app installed) using the mobile app on your smartphone. The company's mobile apps on Android and iOS offer a consistent user experience no matter which device you pick. The only area where we were disappointed was the Web interface, which is inferior when compared to its mobile and desktop apps. For starters, you can't sort playlists on the Web interface. While desktop apps are more stable, the Web player is more ideal for those times when you want to quickly listen to a song without firing up the app. The Web player felt a bit buggy after using it for a few hours. At times the page froze, while sometimes the music stopped playing altogether. This might be a browser issue, but we didn't face any such problems on any of Spotify's native apps. Spotify's Web interface doesn't support all browsers, for example, you cannot use it on Safari. Even creating playlists is slightly harder on the Web interface compared to the desktop. But it doesn't seem like a deal-breaker since the mobile and desktop apps work perfectly fine. 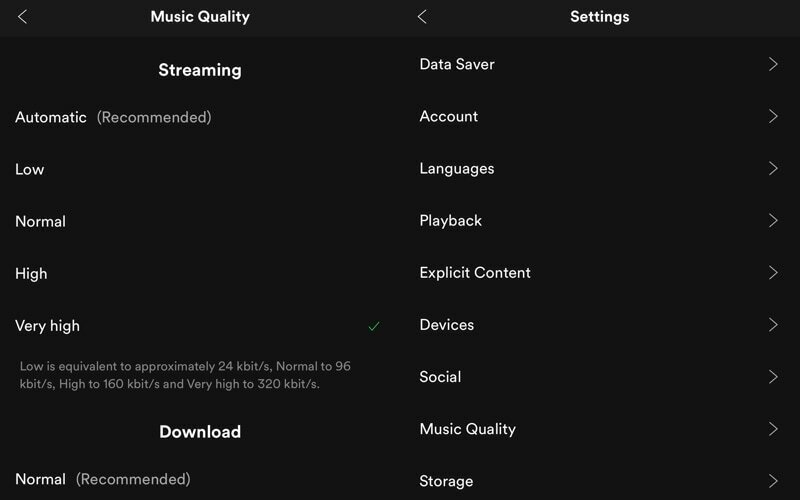 Spotify lets you set the sound quality of tracks both through downloads or while streaming directly, and you can have different settings for the two. Furthermore, the sound quality is different depending on whether you're on a free or premium plan. If you're on the latter, the quality of tracks downloaded and streamed goes up to 320kbits/s in the OGG Vorbis format, on all platforms. Free users have audio quality capped at 160kbits/s or lower, depending on the platform used. Desktop apps and Web versions have less flexible settings for quality, while mobile users can set audio quality according to their preferences. Audio quality is significantly and objectively better on the premium plan across all devices — we tested on an Android smartphone, and also on Google Chrome, and the desktop app for macOS. On the highest settings, the sound is clean, devoid of any obvious giveaways of lack of quality, and retains all the character in the tracks you listen to. If your Internet connection is fast enough to stream at the highest quality, you won't have any buffering interruptions either, and tracks will start playing with no noticeable delay. Lowering the quality through the settings is an option, and might be useful if you have a spotty Internet connection, or if your smartphone doesn't have much free space for you to store highest-quality downloaded tracks. Naturally, the premium plan gives you the most flexibility across devices and is the obvious choice for anyone looking for good audio quality. None of this is to say that audio quality on the free plan is bad; it's acceptable and good enough by normal streaming standards. Comparing Spotify's audio quality to that of Apple Music, we found the difference to be insignificant, with some cases of specific tracks sounding better on one streaming service, with other tracks sounding better on the other. Apple uses the 256kbits/s AAC format for streaming and downloads, which is largely at par with Spotify's 320kbits/s OGG Vorbis format, as far as the resultant audio quality is concerned. Like most other apps, Spotify has added a dash of Indian flavours to its catalogue available in the country. Spotify claims it has more than 40 million songs available in India right now. The company continuously adds more tracks over a period of time. However, in case you're a fan of Bruno Mars, Cardi B, Linkin Park, Led Zeppelin, or other stars under the Warner Music Group label, you're in for a surprise. Spotify's ongoing legal issues prevent the company from playing any of these artists' music on its platform. Apart from that, Spotify still has something for everyone. The company is offering content in Indian languages like Hindi, Tamil, Telugu, and Punjabi. Spotify's powerful recommendation engine is probably its biggest advantage. The engine recommends relevant music you're likely to love once you keep listening and liking tracks. Having said that, Spotify is also a great platform for discovering new content via its curated playlists. 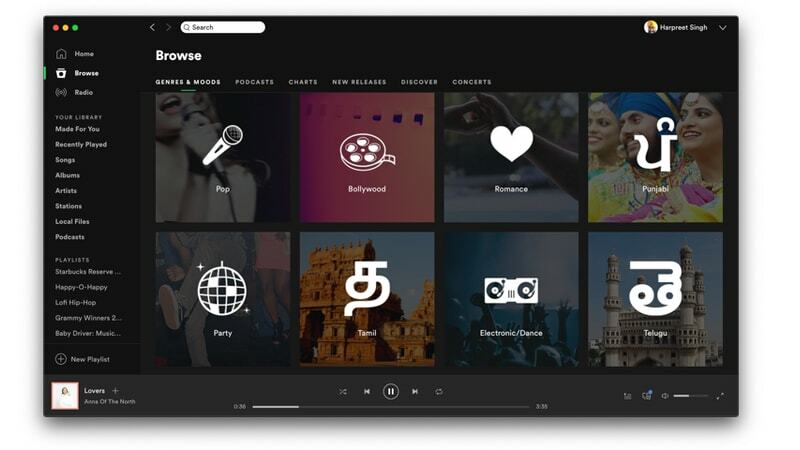 Spotify's team in India has already curated a large number of India-centric playlists that you can try out. Discover Weekly is a personalised curated playlist built automatically just for you using the recommendation engine's suggestions. Most of the times, it gets things just right. In addition, Spotify also lets you play your locally stored audio files on the desktop app. You can simply go to Settings > Local Files and click on 'Add A Source'. Select the folder containing your music files and you'll be able to play them from within Spotify itself. No need for a separate desktop app for those. Spotify has a lot of things going for it especially curated playlists, collaborative playlists, and the ability to play locally stored music files. The company's smart recommendation engine is clearly its most unique selling point for a lot of users. The app's free and premium plans let anyone try the music catalogue before deciding if they are ready to pay for it. Another key highlight of Spotify's offering is the number of apps it offers. Since users are now using a large number of devices, it makes sense to have an app for almost every possible platform and this is where Spotify wins. If you're already happy with your current music streaming app, you may not have a lot of incentive to switch places. But you could still try Spotify's free plan and see if you like it. The only thing we didn't like was the Web interface which, hopefully, will get better over time. 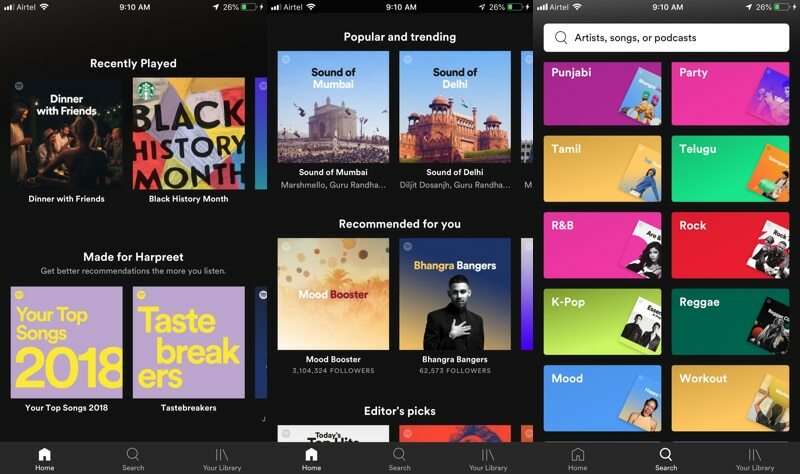 We discussed Spotify's India launch on Orbital, our weekly technology podcast, which you can subscribe to via Apple Podcasts or RSS, download the episode, or just hit the play button below. 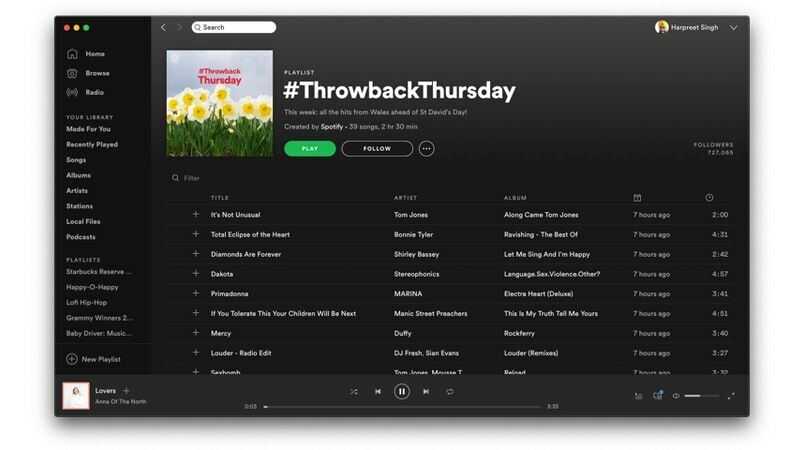 product Spotify is now available in India and we tried the music streaming service to figure out what the fuss is all about.